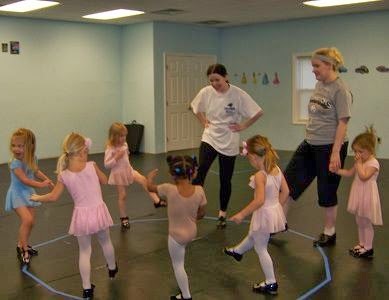 Dancers Unite offers wonderful tap classes for preschool children in Charlotte, North Carolina. Tap dance is a part of the combination classes offered to two, three, four and five year olds. Preschool students also do a tap routine (along with a ballet routine) for our yearly dance recital held at Dana Auditorium in the Myers Park neighborhood of Charlotte. Please see our Dance Class Page for more information on these classes. Also, we will be offering Summer Preschool Dance Courses for those who would like to get their kid started in the summer.